Limousine Transfer from Montreal to Quebec: Yes Please! Limousine Transfer from Montreal to Quebec: Yes Please! Charles Limousine / Limousine / Limo Transfer from Montreal to Quebec. Please! There is another option: the limousine service offered by Charles Limousine. Imagine: You are picked up at the arrivals gate of Montreal Airport and, 3 hours later, you are dropped off at the Port of Quebec. In addition to being, according to us, the most comfortable option and the most economical in terms of time, if you are a couple (or two couples), choosing a limousine may turn out to be the cheapest option. 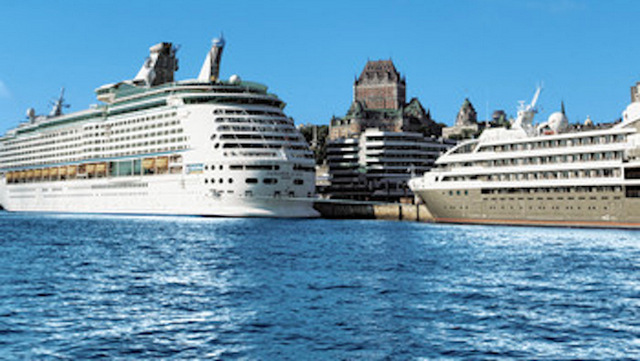 Do you doubt that many cruise ship customers call on our services? Don’t be fooled. Last week, an American client asked us to pick him up at Dorval with his wife and a few friends… and to drive them to a car rental place in Montreal. On the phone, as soon as I told him that we could also drive them to their destination, the Port of Quebec, he didn’t hesitate for long… before reserving a transfer to Quebec. I was a bit nervous. Never used a limo, service before. According to Google. This is the best, and Google is always right. Pleasant trip. Prompt! Courteous! Georges is also a good conversationalist ! A real bonus cause I needed to talk. Thanks Georges, You are the best! 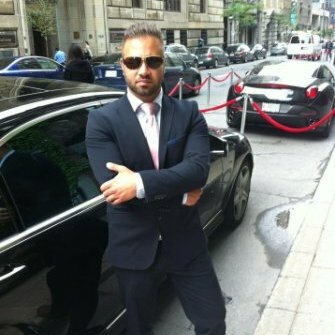 I used Charles Limousines in August 2017 when I went to Montreal for Pride – the service was awesome. I only used it to and from the airport but this year I’m going back… in August and I plan on using their services a bit more – I was that impressed. Why bother with the Metro and cabs when they provide such a great, timely service. I’ll be in touch soon Georges.